Abigail is a Licensed Midwife who has been supporting women and families through the childbearing year since 1993. 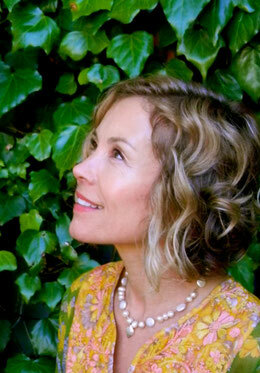 Her holistic approach to women’s wellness has led her to additional studies in nutrition, homeopathy, herbology, prenatal exercise, Energy Medicine, Craniosacral Therapy, Visceral Manipulation, the Arvigo Techniques of Maya Abdominal Therapy® and Holistic Pelvic Care™. Abigail is a Certified Arvigo® Practitioner and works with women at all stages in their lives to support healthy menses, fertility, digestion, pregnancy, menopause and beyond. In addition, Abigail is a Certified Arvigo® Self Care Teacher and Doula Trainer. She is currently enrolled in Aviva Romm MD's Herbal Medicine for Women training and studying shamanism with Don Oscar Miro-Quesada. Abigail is a member of the California Association of Midwives, the Midwives Alliance of North America, the Association of Pre and Perinatal Psychology and Health, and the Maya Arvigo International Association.